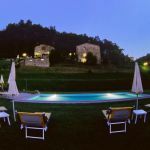 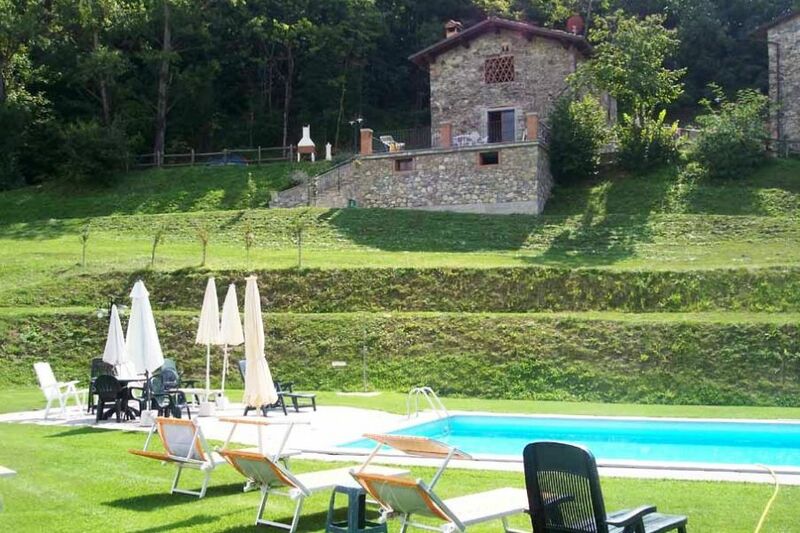 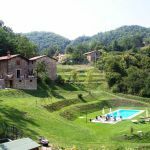 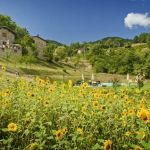 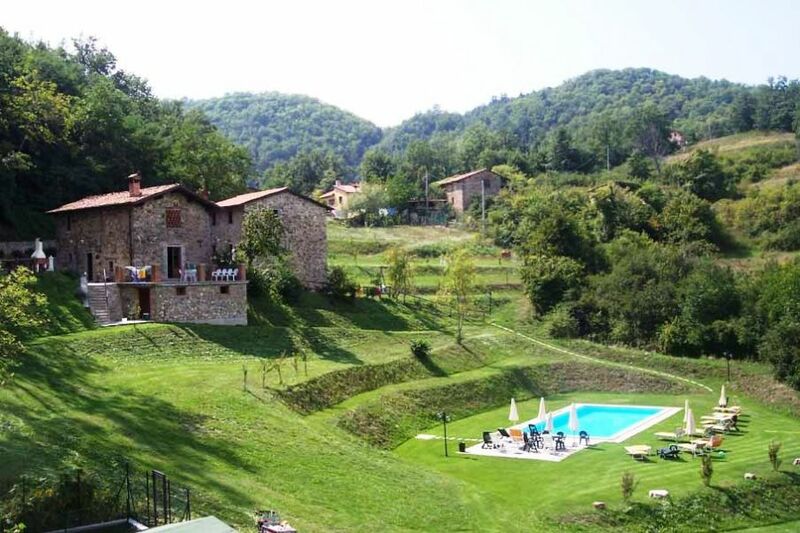 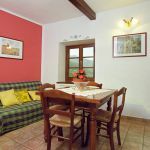 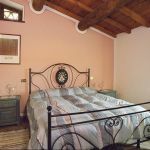 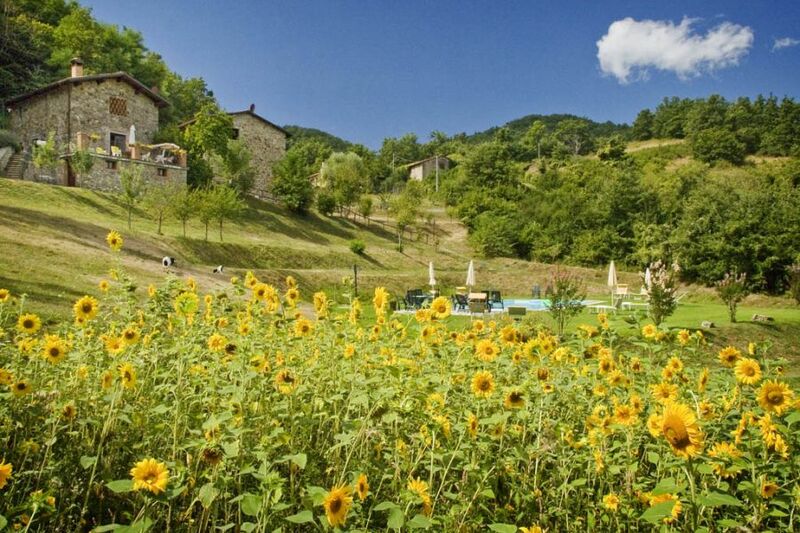 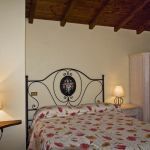 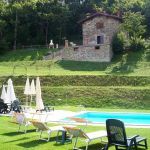 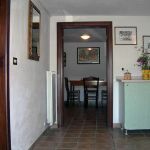 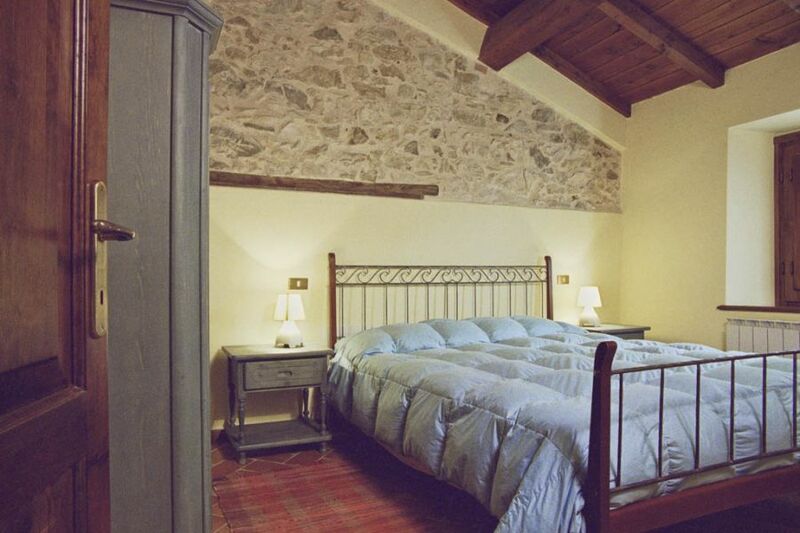 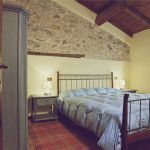 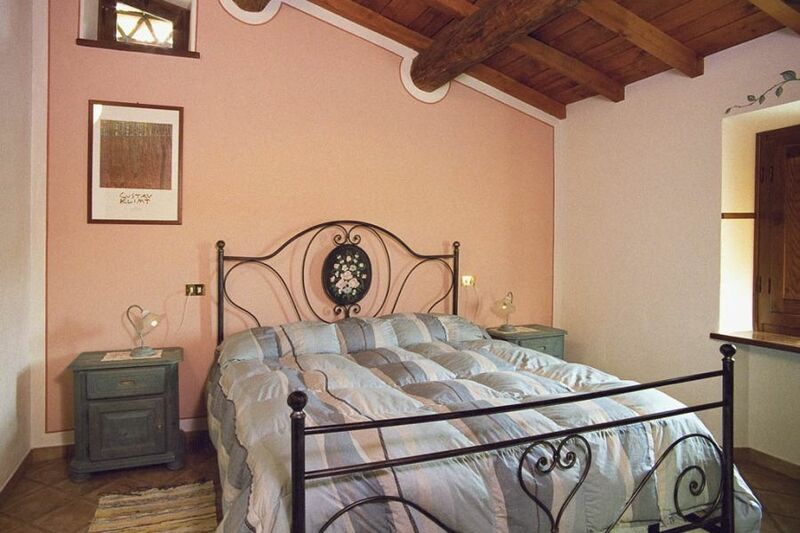 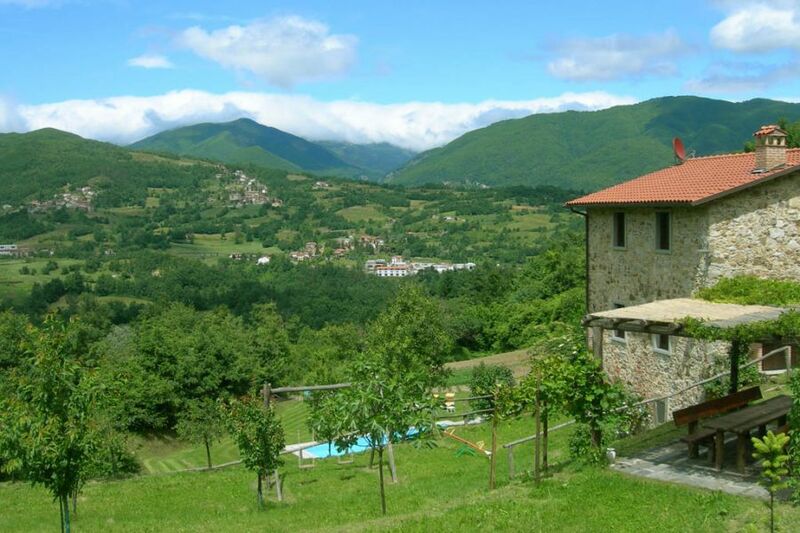 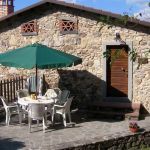 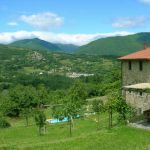 Magical organic farm nestling between the majestic mountain ranges of the Appenines and Apuan Alps in northern Tuscany and surrounded by green fields and woodland. 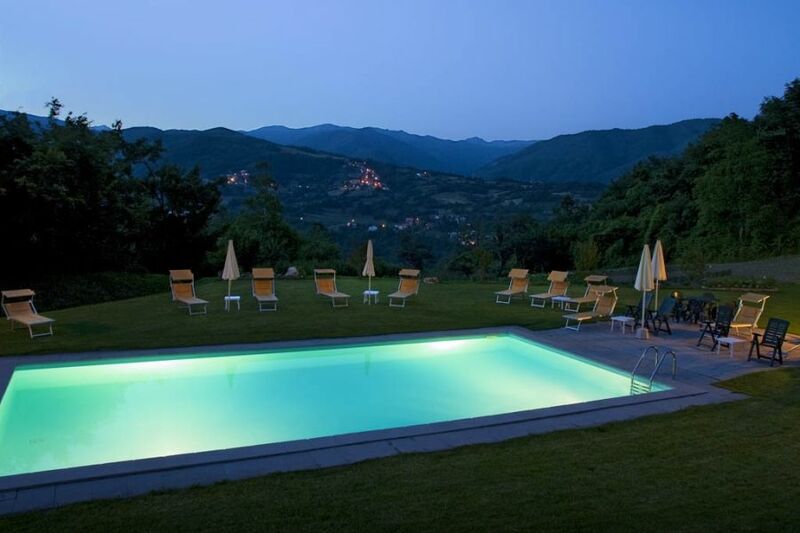 Lovely swimming pool (12m x 6m). 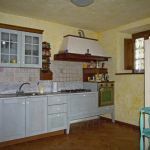 The two farm buildings have been converted into rental accommodation comprising a detached 3 bedroom cottage and 3 apartments. 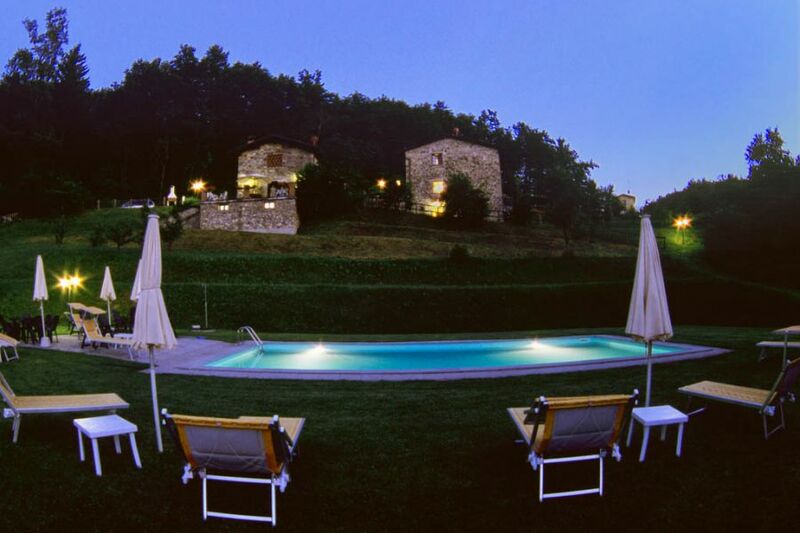 Each property has its own private eating terrace, outdoor oven, and BBQ. 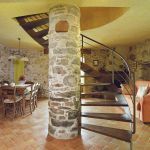 “The Stables” - A newly and very sympathetically converted detached barn with 3 bedrooms (2 double, and 1 twin), and 2 pristine shower rooms. 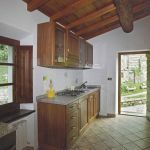 The house has been carefully restored, and is decorated in a rustic style, boasting an open fire, and beamed ceilings throughout. 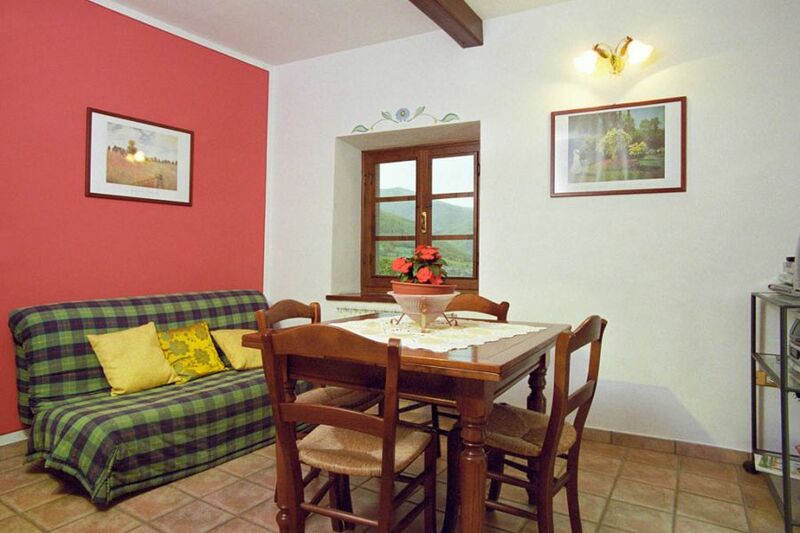 Comfortable living room/dining room. 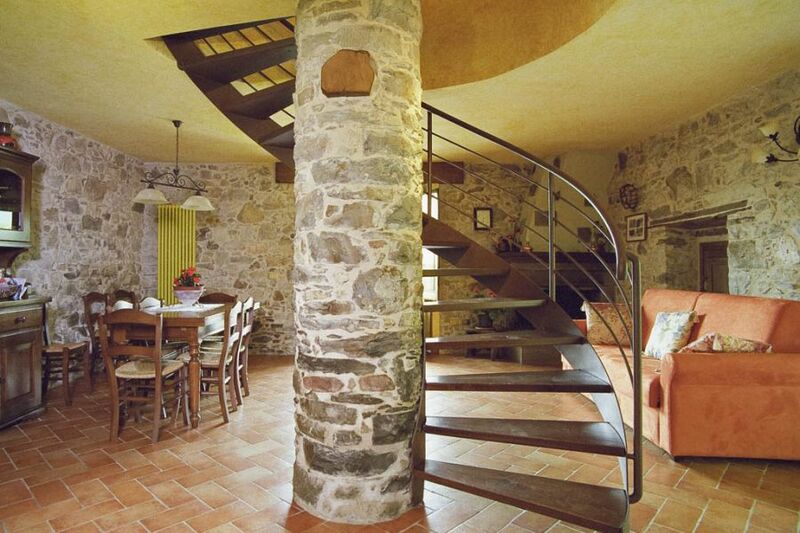 “The Cicada” (upstairs) and “Tapinoma” (downstairs) - Beautiful stone cottage comprising two newly converted 2 bedroom apartments each with its own entrance. 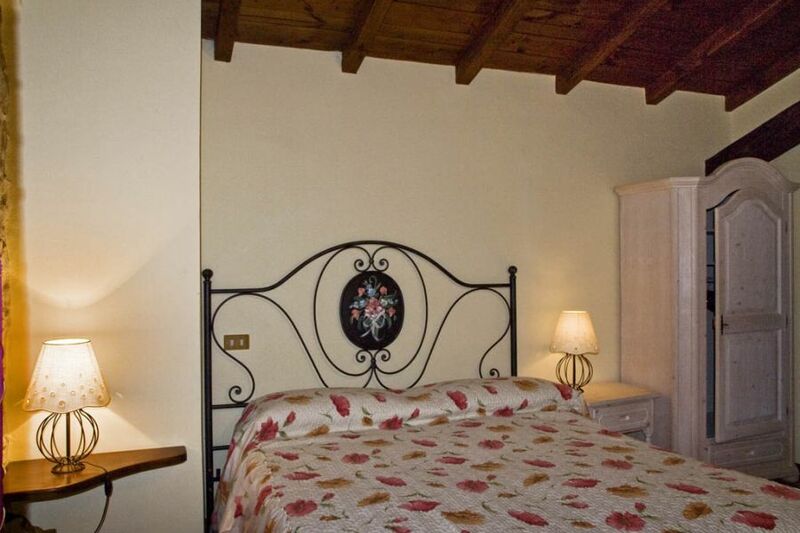 The apartments are rustic in style with open fires, & beamed ceilings and have kitchen, lounge and shower room. 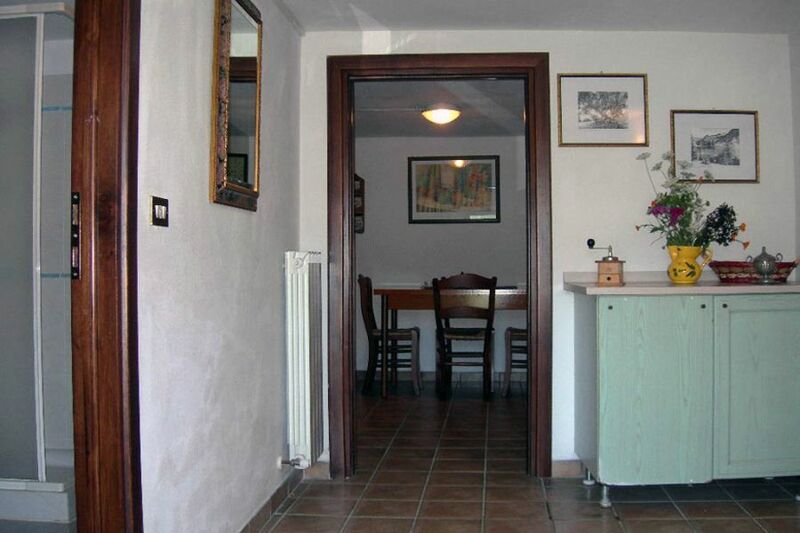 There is also a 3rd apartment, “The Cricket” with 2 bedrooms, kitchen/diner and shower room. 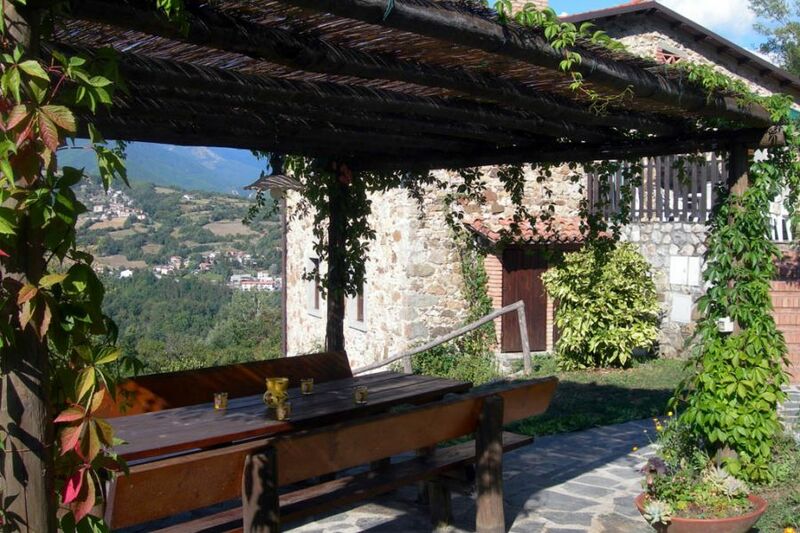 The nearby village of Nicciano has a café which also sells basic provisions. 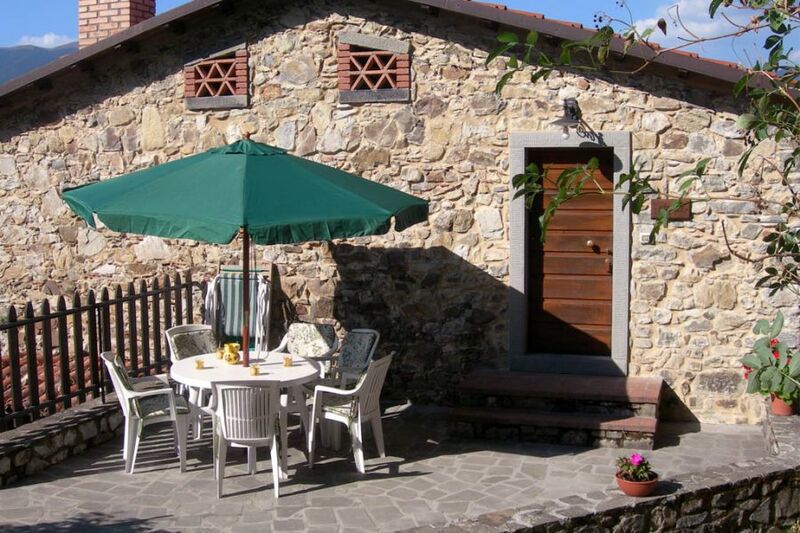 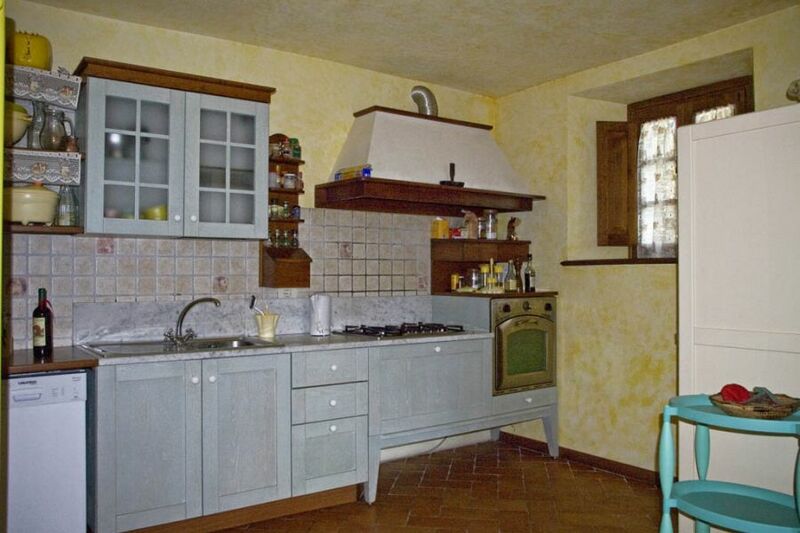 The farm is about 1 hour 10 minutes from Lucca and 1 hour 40 minutes to Pisa by car (and a bit less by train). 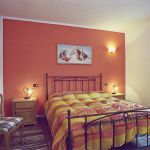 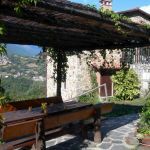 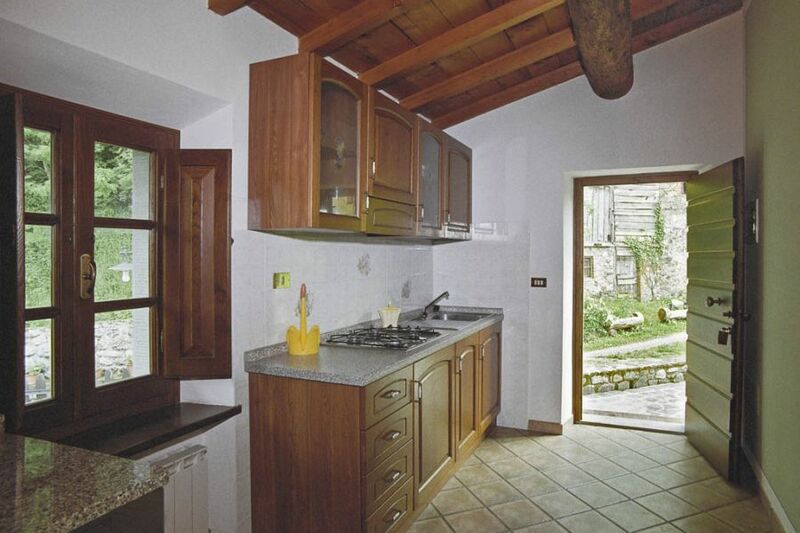 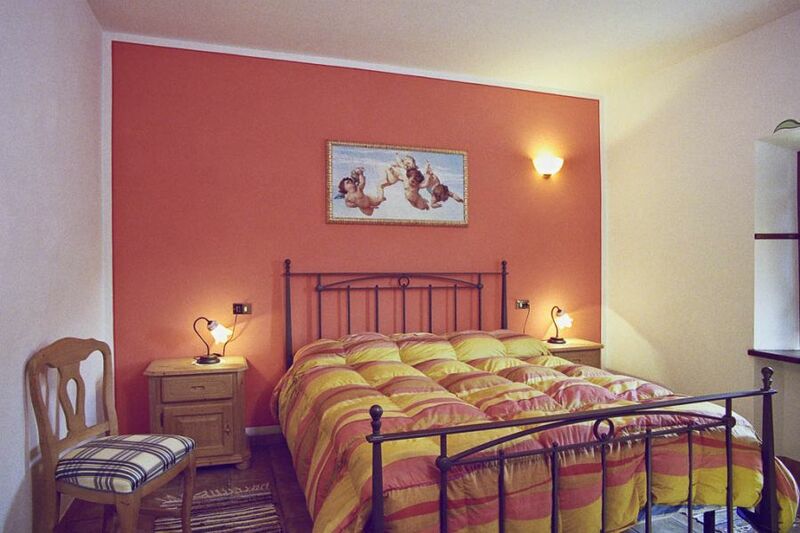 The local ski resort of Careggine is a 20 minute (more extensive skiing in Abetone - 1 hour 15 minutes) drive while the coast (Lerici) is just over an hour away.